The new love of your life! "Coherence and imaging are scary good, while tunefulness is measured and seemingly dialed in for accuracy. There is nothing entry-level about these towers"
CeLest’ is designed to be an amazing audiophile speaker and that’s exactly what you get. The CeLest is very accurate but incredibly FUN. This comes from the fact it is crisp yet warm, and the bass is tight, articulate and bountiful. The CeLest loudspeaker system was crafted with three main design goals. First, we understand that every listening room is different. As a result, we wanted CeLest’ to be as room-neutral as possible. To reduce room interaction we use a high-frequency waveguide to minimize the effect of these critical frequencies. The result is spectacular. Secondly, we wanted CeLest’ to deliver generous tight, articulate, pitch defined bass. Using some really smart enclosure technics and physics wizardry, we hit the mark. Thirdly, we wanted a speaker that was tonally accurate and did not change the sound of any particular instrument. To achieve this, we spent an inordinate amount of time and testing to develop a cost no object crossover that delivers a spectacular tonal balance. A listening room affects the overall sound of most loudspeakers as much as any other single component. Our proprietary waveguide was developed with the intent purpose of being as room neutral as possible. To accomplish this, we incorporated a slightly smaller version of our high-frequency waveguide, also found on the Corvus Reference Monitor. The result is more detail in the high-range and a well-defined sound stage. Less Room, More Music! The CeLest’s frequency response is tailored to sound great on all recordings by paying particular attention to reducing peaks in problem frequencies. This results in a well-balanced sound that really works. Everything from classical music to classic rock is amazing on the CeLest’ Towers. The CeLest uses a ported enclosure tuned to 40Hz. 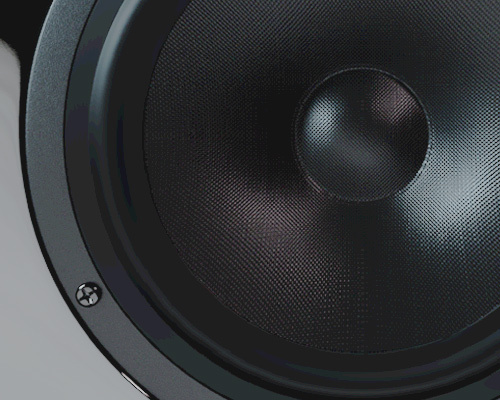 CeLest’s bass response was designed to reproduce 40 to 55 Hz spectacularly. So, why not 20 to 55 Hz? 99% of deep bass frequencies in recorded music are between 40 and 50 Hz. The lowest note in a rock band is 42.5 Hz. This is the exciting area of bass and it is critical to get this right. CeLest nails it! Great care was taken with the design and build quality of the CeLest' enclosures. 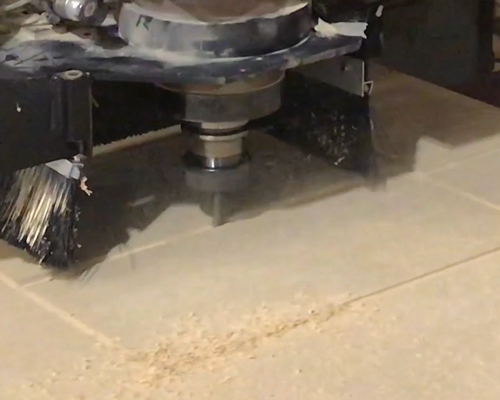 To reduce any possibility of resonance, we use high-grade, high-density MDF. Speaker cabinets typically have resonant frequencies that vibrate sympathetically with certain musical tones. When this happens it adds unwanted coloration to the sound. The only sound produced should be from the speaker drivers themselves, not the cabinet. A listening room affects the overall sound of most loudspeakers as much as any other single component. 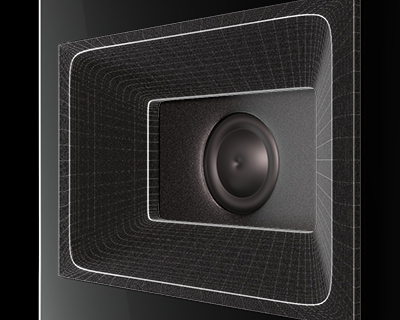 A slightly smaller version of our high-frequency waveguide, also found on the Corvus Reference Monitor is used on the CeLest’ to reduce the room’s effect on the overall sound experience. The result is more detail in the high-range and a well-defined sound stage. The CeLest’s frequency response is tailored to sound great on all recordings by paying particular attention to reducing peaks in problem frequencies resulting in a well balanced sound. 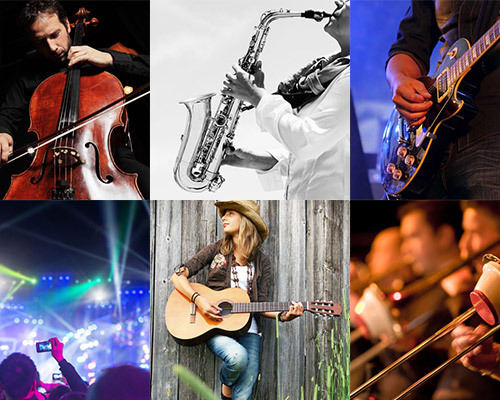 Everything from classical music to classic rock sounds great on the CeLest’. Speaker cabinets typically have resonant frequencies that vibrate sympathetically with certain musical tones. When this happens it adds unwanted coloration to the sound. The only sound produced should be from the speaker drivers themselves, not the cabinet. attaches securely with powerful magnets.